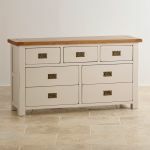 The Kemble Rustic Solid Oak and Painted 3+4 Chest of Drawers would sit happily in living room, bedroom, or a large hall. 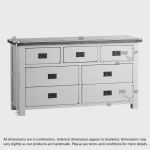 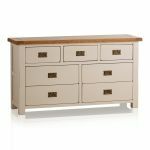 With a beautiful rustic feel, given by the softened corners and light paint, these strong drawers will prove very useful for years to come. 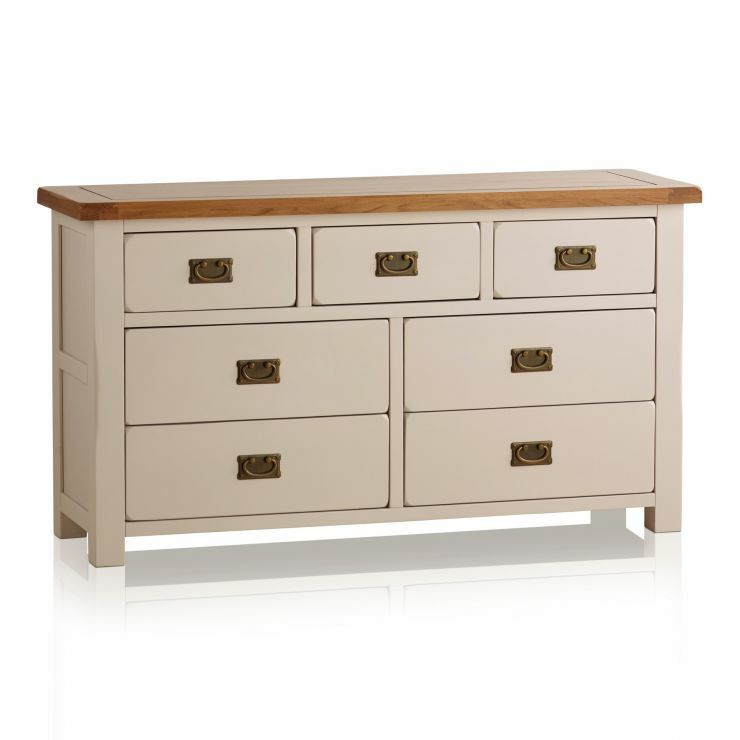 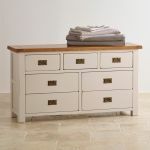 Finished with a stunning putty coloured paint with subtle lavender undertones, this delightful 5 drawer chest is a part of the full Kemble collection, comprising of solid hardwood furniture for your whole house.